Update: I wrote the following a year ago after a friend suffered a horrible loss. It sat in Drafts, unpublished, until today. Sweet baby girl would have been a year old. The baby passed away Saturday. It is Monday, two days later. It is easier to write the facts because the feelings get tangled somewhere between my heart, my brain, and my mouth. They ooze into place, they swell and won’t budge. It hurts. Pressure builds. My lip begins to quiver. My chin shakes. My throat feels oddly swollen. My eyes fill and I can’t see. I try to speak but nothing comes out. I remember her picture, her beautiful face. The tears spill over. The baby died Saturday. I am taken aback…. Unless I’d switched doctors, I don’t recall feeling like I had a choice, a choice about the day of delivery. Who switches doctors that late in the game? In hindsight, not switching could well have been a fatal error. But, we trusted. Every parent wants to think their doctor acts in their best interests, that he or she advises the soon-to-be parents to the best of their ability. In most cases, this is no doubt true. I’ll take to my grave that we were not better advised in ours. “Do you think everything is going to be OK?” I asked my husband as I crawled into bed. “Yes,” he stated, most assuredly. Call it what you will, a mother’s intuition, but I knew. On some level, I knew. I was already a mother. This was baby #2. Baby #1, 27 months prior, was born after 22 hours of labor. He didn’t want to exit the conventional way, so we met all 9 pounds and 2 ounces, all 20 1/2 inches of him, the unconventional way. We had to have a cesarean. Too much time had elapsed, the baby was too large, mama had grown weary. With one cesarean under my belt and given the size of #2–not to mention our doctor was leaving–a week before the due date, on advice, we were scheduled for surgery. At precisely 8:05 a.m., we met all 8 pounds and 9 1/2 ounces, all 22 inches of baby #2. No two parents could have been happier. Big brother now had a little brother, and our family was growing. I had two little boys. I’d never seen anything more beautiful. A little over an hour after his birth I held him for the first time. Little did I know it would be days before I would hold him again. Within hours, our infant’s life was on the line. They told me I would see him before the transport. I heard it coming down the hall. The mobile unit keeping him alive buzzed and hummed. They parked him next to my bed. I could only talk to him, touch his tiny hand. Stay strong, little one. I love you. After several minutes, they took him away, rushed him by ambulance to the NICU. A mere 20 hours after his birth, mother and baby were in two separate hospitals. Aside from giving birth, I had a hernia repair, an appendectomy, and a tubal. I was flat on my back, without my baby. I was dumbfounded, and recall thinking, “YOU are asking ME?” I was speechless. We’d relied on his expertise. We’d followed his advice. We’d nearly lost our son. 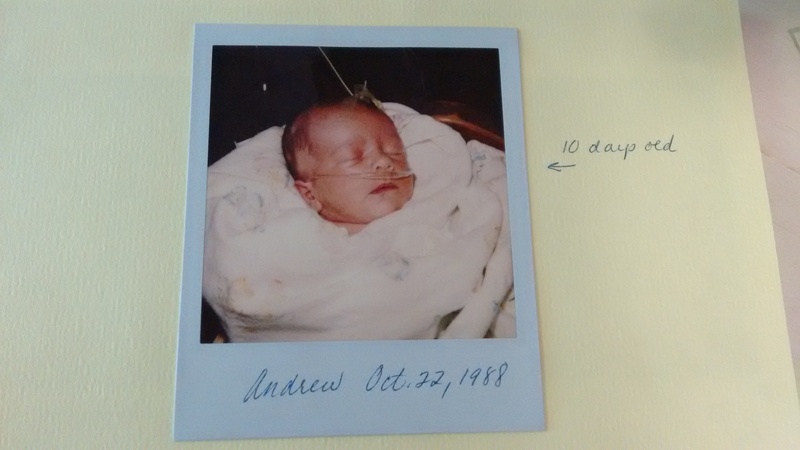 Andrew hadn’t been in the womb long enough for his lungs to fully develop. The effort it took to breathe punctured tiny holes in his lungs. Both had collapsed. Double pneumothorax is the medical term. He could inhale, but he couldn’t use the air; it simply filled up his chest cavity. A ventilator kept him alive, forcing 100 beats of air per minute into his tiny lungs, the goal, of course, to keep a steady supply of oxygen to the brain. A small tube was inserted in the side of his chest to release the inhaled air. They administered drugs to keep him paralyzed, keep him immobile during the procedures. The double pneumothorax wasn’t the worst if it, we were told. The baby went into persistent fetal circulation (PFC) from the trauma, a condition more dangerous than collapsed lungs. Essentially, the baby’s system shuts down, reverts back to the circulatory system experienced when mom’s body was in charge. 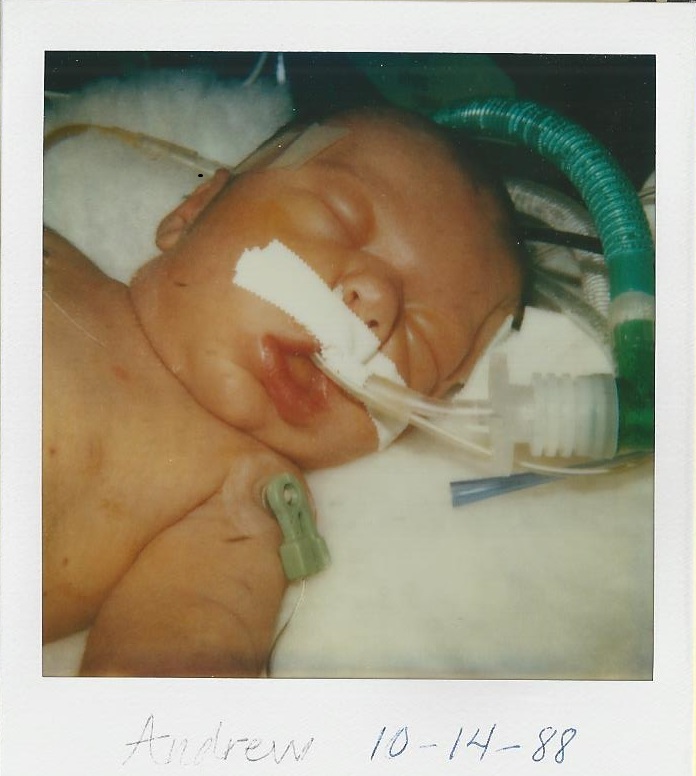 After a severe trauma, sometimes babies give up. Andrew’s home for the next month was the NICU, and our days became a blur of hospital visits, test after test, and paralyzing anxiety. Every time the phone rang, I started to shake. Mama was falling apart. It became a waiting game. He had given up, and my anxiety was growing by the day. Our beautiful baby was fighting for his life, and I was a wreck. To their credit, the NICU nurses were fabulous. They see it every day; they recognize a parent who is about to crash and burn. One of them decided to reach out. She’d been watching me. One evening, as I stood at Andrew’s bedside, she approached. “There is a support group for the parents,” she said. “It’s a time for the parents to get together and talk about what has happened,” she added. That is the DUMBEST idea I have ever heard. I have a husband and two year old at home, and you want me to waste my time sitting around, talking with complete strangers? This useless conversation has forced me to take my eyes off of my baby. Stupid woman. What is WRONG with her? Idiot. Of course, I was the dummy. I should have listened and gone to the meetings. Over the next two years, I’d become a train wreck. The shock and pain of our experience sent me into a rapid, downward spiral. I did not talk when I should have; I realized–years later–I’d been propelled into the dreary world of depression. I simply could not think about me, could not take care of myself. I stuffed it down so far I figured it was gone for good. Wrong. I had a very ill baby. That was my only concern. 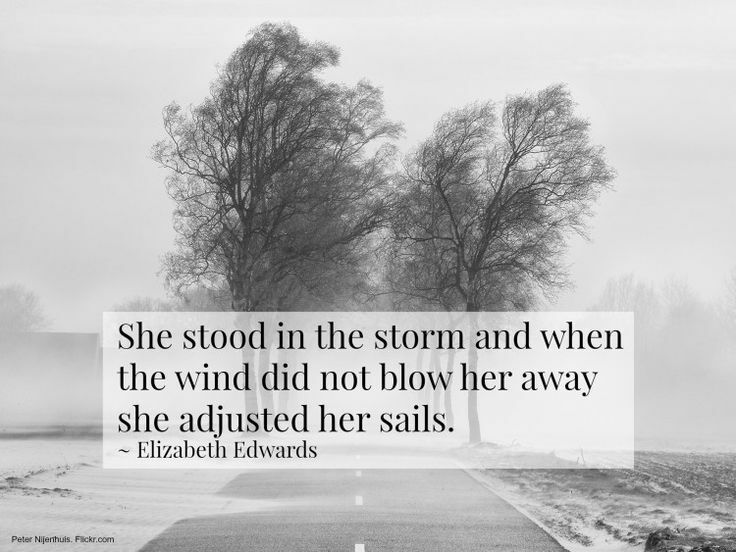 One of those same nurses, thankfully, said something that–while I was loathe to admit at the time, and a hope I’d fiercely clung to–got me through. Another idiot. I’ll believe that when I see it. Andrew soon began to need less and less help breathing, his numbers were good, he was very responsive. He seemed to like us, voices, touch, and food. He was coming alive. His cheeks pinked up. He began to open his eyes. He started to look healthier, less puffy from the trauma. By day 16, he was looking at us, smiling, and chewing on his fingers. We were able to take our baby home. We were unbelievably lucky. We know. In no way do I pretend to understand the pain of losing a baby. It isn’t the same. But I know the fear. I know the anxiety, the depression, the body shakes. I know the sleepless nights; I’d become a walking zombie. It scared me more than I can describe. It was the worst thing I’d ever experienced. It happened 26 years ago, but I will never forget. I cannot. He has been my teacher, my reminder. Another mama’s baby died last Saturday. She was beautiful. Aside from the joy she brought her family, baby girl served a purpose to this mother, to me. Her mama is my friend and I ache for her, but sweet baby girl is my reminder. She reminded me how precious life is, how fragile, elusive, slippery. She has taught us what matters, each other and to keep on loving. It’s seared on our hearts. She is forever a part of us. Of me. Rest in peace, sweet baby. You touched my heart. Illustration and Footsteps book credits. This story is very hard to look at. I also suffered a loss when my grandson, Gavin, passed away. He was 12 days old.Gavin was my first grandchild. It is devastating to the parents, and grandparents. Now I’m crying…it’s been 3 years and it still tears at my heart. God Bless your friend and all she has been through. She is lucky to have you in her life, you are a passionate person. Thank you for all your kind words. Thank you so much karenlee for you kind words. They are in our hearts forever. Check your spam in your email and in your dashboad for wordpress. I found lots of Spam there. in mine. Dave has had numerous surgeries and therapies over the years. But, yes, could have been much worse. He’s doing well, loves sports and his computer. His brother just built a house with a room and walk in shower so he can eventually move in there. So yes, we are blessed, too! Have you ever faced a situation that was “iffy” at best? And, you maybe had to keep putting one foot in front of the other when you absolutely questioned whether you could even take a single step? My friend Karen has. 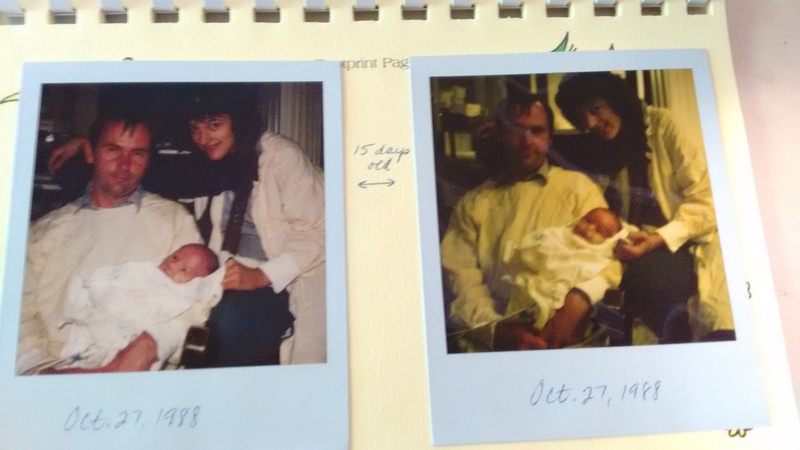 She wrote this amazing story about when her son was born and I wanted to share it with you. I know lots of mommas that have had babies in NICU and at times the outcomes have been bittersweet. Thank you, Karen for sharing your experience. By doing so, you have given a voice to others on similar journeys. This one hit a little close to home. Like you, I still have my son who is 48. I’m still astounded by the gift I was given. In those days, they took the baby from you with no holding allowed. I was told they would tie me to my bed if I tried to go the nursery. I did not touch him for 10 days until the miracle he was finally came home with me. The nurses did a wonderful job of doing more than their job to keep him going. They said he would probably be brain damaged if he lived. Losing him was something I finally had to get ready for. The moment I released him in my heart, was the moment he started to rebound and come back to me. I get the pain of losing a child. It’s not like anything anyone can imagine. At any stage, they are part of you. I can’t tell you how many mothers I know that have lost grown children and it changes them just as much. Deep, deep pain. You did a beautiful job of expressing this. I’m glad you still have your gift as well. My son was born with Hyaline Membrane Disease. Full term baby with underdeveloped lungs. It was 10 days before I was able to see or hold him. They were busy saving his life but I resented that I was not allowed to at least see him. I’m glad things are changing. If you lose a child, they are always still bonded to you, body and soul. It’s like nothing else. How awful, Marlene, that you were not allowed to hold your son. 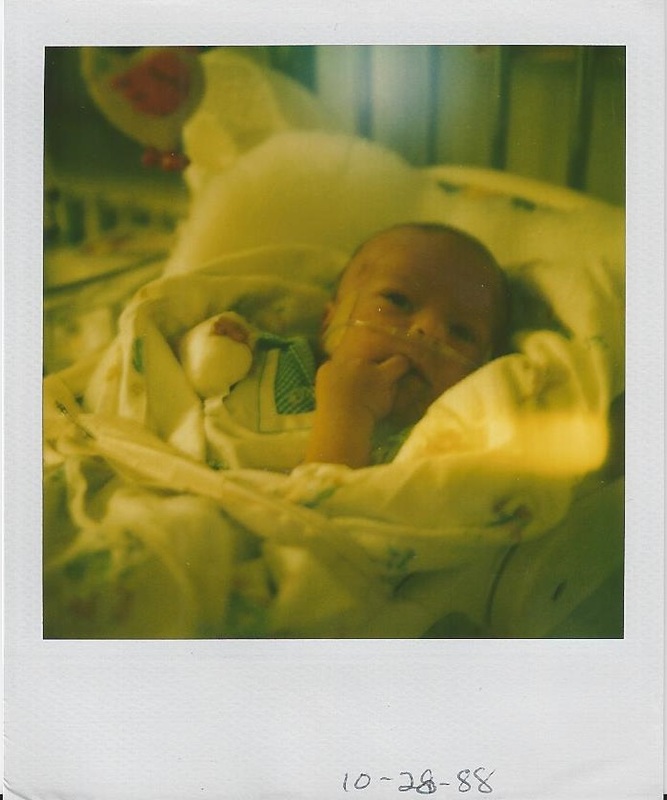 When Andrew was in the NICU for that month, we were there every single day, but many parents never visited. The reasons varied, but I wanted to reach in and hold them all. Broke my heart all over again. They arguably need human contact more than babies who enter the world without trauma. I’m glad you are opening up about the miscarriage. It’s no different than any loss of a child. Hurts just as much. I knew the nurses were working hard to save my son so I let it be. They did a good job and he knew that he was loved even though I never held him. Whitney Lee is a lovely name. Hugs. I was pretty devastated when I lost the baby, and remember not talking about it very much because people said things like, “You will have another,” or “You have plenty of time.” And I remember thinking, “But I am attached to THIS one” because “THIS one is my child, too.” I realize much about others’ reactions is because they simply don’t know what to say; however, for the mother, this is a devastating loss. I’ll always be attached to my Whitney Lee. ❤ So glad your son is OK now, Marlene. Hugs right back. So heartbreaking. I am glad your own story had a happier ending. How sad to think of babies not being visited and held by their parents. Perhaps it was a defense mechanism. We never know how we will react in these situations. I feel blessed that I never had to be placed in that situation. Yikes! I am sure that having him a healthy young man today enables you to laugh now! Beautifully written . Our babies are precious . This well written story is at once heartbreaking and life affirming. Thank you for writing it. I won’t, Miriam, ever. 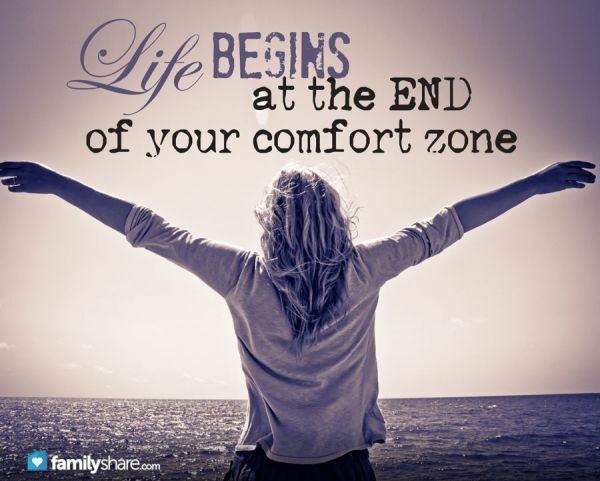 It changes you and how you look at life (and, could it be that is the reason for it all? I’ll never know). The moment I saw a photo of my friend’s baby, I was transported back to our experience, and flooded with memories. I recalled that when our son was transported, because I was NOT thinking correctly, I did it all alone. I signed off on all the paperwork in the middle of the night, talked with all the doctors, before they took him away. I did not call my husband because I recall thinking “Someone needs to sleep, and my two year old needs to sleep; don’t wake them in the night.” I was a mess. But, my son survived it all and to have him today is a total blessing. ❤ Thanks for your comments. Sweet girl, super glad you found your courage and hit that publish button❤️ What beautiful, heart wrenching stories. When I got to his cheeks pinked up, my hand went to my heart and tears started rolling. I am so sorry for your friend’s loss. Any chance I could share this story? 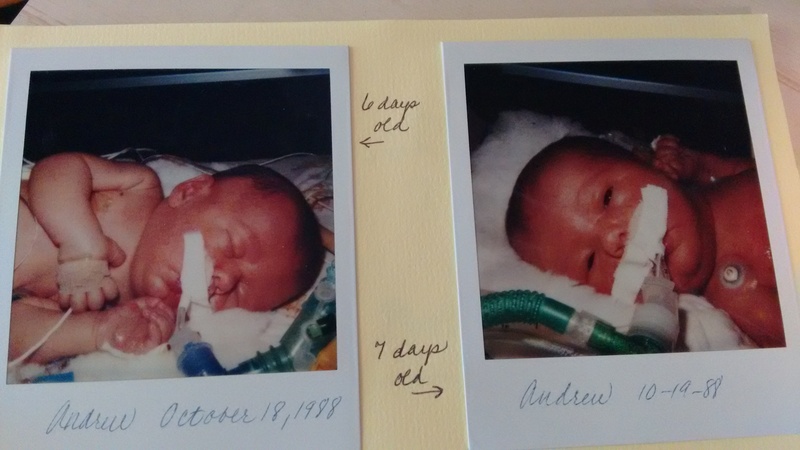 I have several friends with similar birth stories, NICU etc.